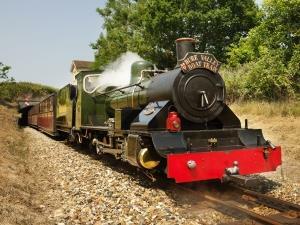 All aboard in Great Yarmouth! 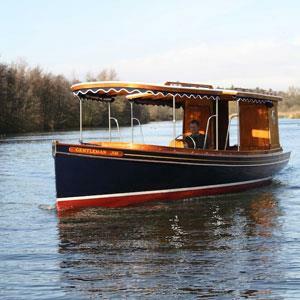 Ensign 21 vessels seat up to 6 people and are equipped with toilet, 2 ring burner and grill cooker, crockery, running water and heater. Perfect to make tea and coffee aboard whilst pottering along. Journey on the Road Train down the Great Yarmouth slow lane from the Landaus Station to South Beach Parade (usually from mid-March) or take the town centre circular route (usually from Easter). 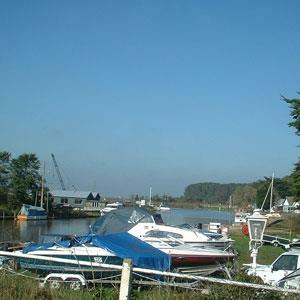 Bridge Stores in St Olaves, Great Yarmouth, have two hire craft available all year round. 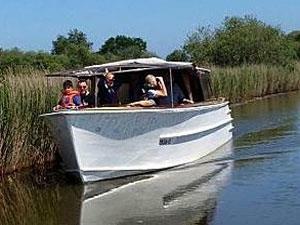 The Waterside, Rollesby - a boating, wildlife, leisure & dining experience not to be missed! 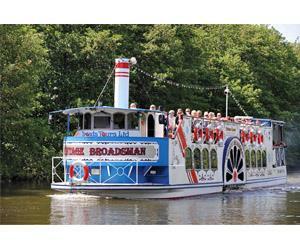 Enjoy a fun and informative guided tour of the Broad on the Edwardian launch 'Gentleman Jim' (approx 30 minutes). Scroby Sands Boat Trips operate from Great Yarmouth's Central Beach throughout the summer months (end of May - end Sept), chalkboards by the beach advertise the times. Scroby Sands is home to Scroby windfarm and a colony of grey seals. 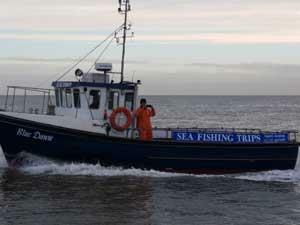 Blue Dawn Charters, Great Yarmouth, are, Great Yarmouth, are a charter boat operation taking fishing parties out to sea aboard their vessel - Blue Dawn. 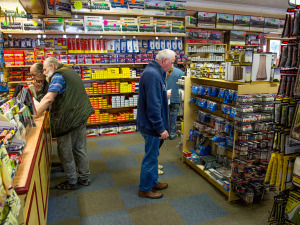 All abilities catered for, tuition available, bait and tackle can be supplied at cost. 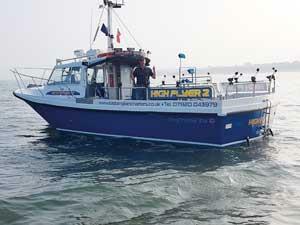 East Anglian Charters, Great Yarmouth, are a charter boat operation taking fishing/diving parties up to sixty miles out to sea aboard their Offshore 105 fast fishing vessel - High Flyer. 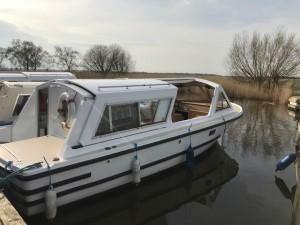 Take a trip on the Lady Ann, a perfect traditional wooden Broads boat for guided exploration tours of one of the lesser known Norfolk Broads - Horsey Mere. Each season brings its own nature delights making these trips ideal for all. 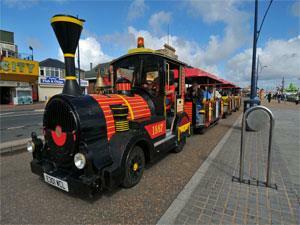 See the sights in and around Great Yarmouth with various modes of fun transport. 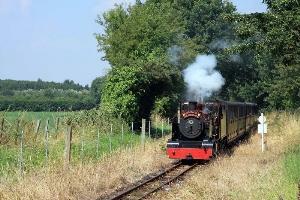 Whilst exploring Great Yarmouth's Golden Mile, give your feet a rest and enjoy a ride on the road train which departs from the Landaus Station and completes a circular route up to the Pleasure Beach. From Easter time, there is also a circular route to the town centre, stopping at various points along the way. Or why not choose a carriage ride on a landaus? 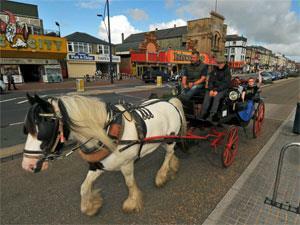 Relax in your open-air carriage as your horse clip-clops up and down the seafront, leaving you to enjoy the sights. There are a number of horse-riding stables locally if you'd rather ride your own horse. 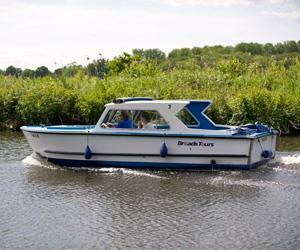 Slow things down with a boat ride from various nearby locations, giving you the chance to explore more of the Norfolk Broads and the beautiful scenery surrounding the water. 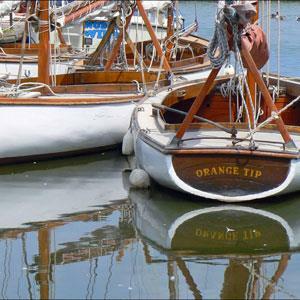 Other watersports are also on offer. 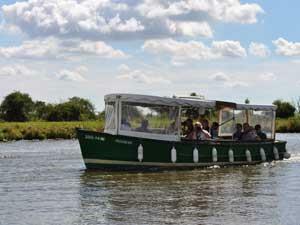 For something a little bit further away, jump onboard a coach trip to explore wider Norfolk or Suffolk. From Whitsun onwards, catch the coach and be whisked away to a range of tourist attractions and events.